The Finishing Touch set to work selecting a parapet exterior mould that is a little fancy and will make a statement on this otherwise bare building. 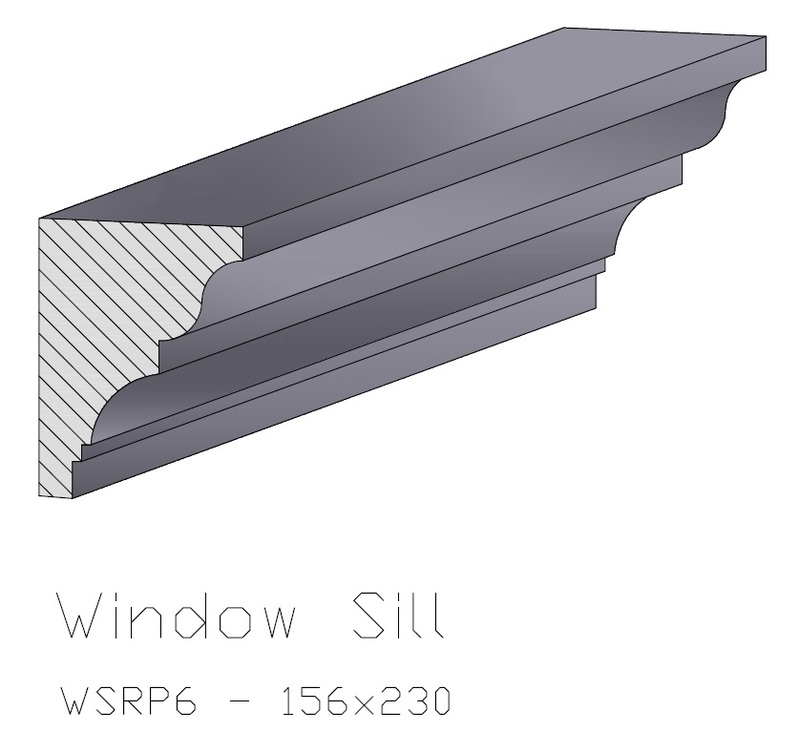 Steven De Gregorio of Advanced Moulds then developed this new decorative moulding window sill to go with the parapet. 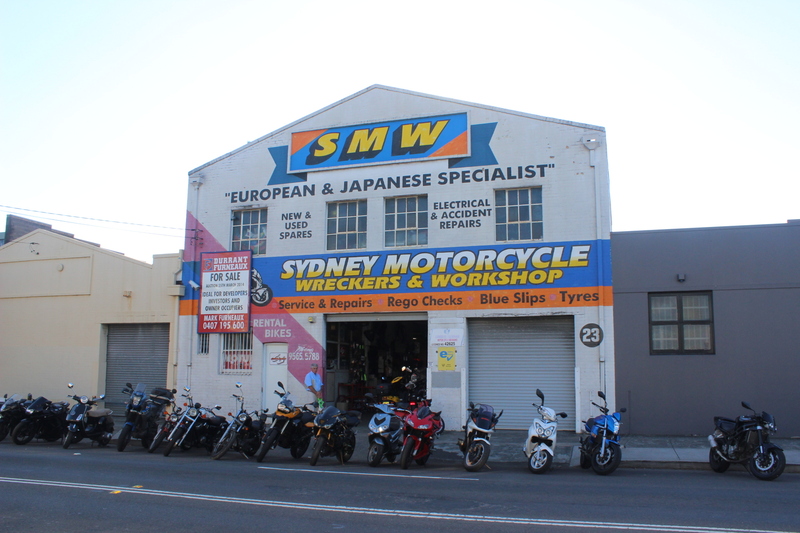 The two together will help create the classy exterior required to transform the look of the building to suit the new business. A quote has been sent and the Finishing Touch hope they will have the opportunity to show what an incredible transformation they can help to achieve through the use of architectural mouldings. Once the quote is accepted it will only take two to three weeks to manufacture the mouldings. The lightweight mouldings that the Finishing Touch have developed are a boon to renovations such as this. Apart from the decorative effect and value they add to the building, they will also last a long time, retaining an “as new” look for years to come. They are manufactured relatively quickly and are easy to install. 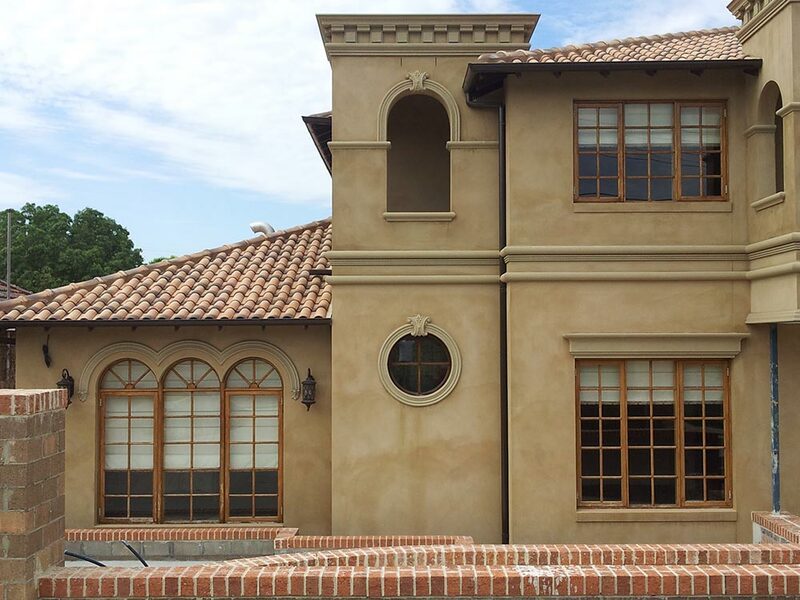 The quality of The Finishing Touch lightweight exterior mouldings and their ability to last a long time in pristine condition is welcome news to home owners. 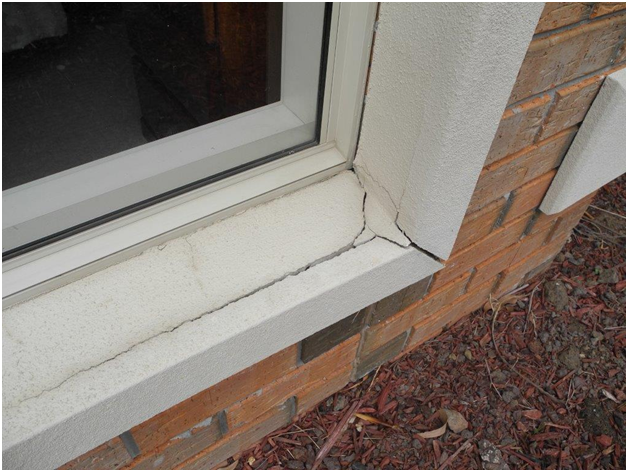 Especially those with older homes, as they see the mouldings on their beloved houses crumbling and cracking, detracting from the appearance and value of their asset. One such older style house in Lachlan Street, Bulleen is presently being restored with the removal of the older, cracked concrete moulds which are being replaced with new window architraves and sills supplied by the Finishing Touch, who are also rendering the window reveals. The raw materials have been purchased and the mouldings are being prepared in the factory. The new exterior mouldings will be applied in four weeks, refreshing the building’s exterior. Decorative mouldings will add class to the appearance of a new home being built in Studley Road, Brighton East. The new single storey house of thirty five squares will be adorned by lightweight mouldings for the parapets, eaves, arches and under gutters. A decorative effect will be created by quoining panels in v shapes near the entrance. The Finishing Touch is looking forward to this project, which will be commencing in six weeks’ time. If the quote is successful the project will be commencing in two months. Several new projects has kept the Finishing Touch busy lately. Commencing in four weeks lightweight mouldings for eave parapets and normal parapets, as well as stringers will be manufactured and installed to a new, modern home of 40 squares in Taylors Lakes, west of Melbourne between Sydenham and Keilor. The architectural mouldings are lightweight as they are manufactured from computer cut high grade EPS polystyrene. They are then triple coated with a multi-part compound and reinforced with a triple coating of sand for maximum strength and durability. 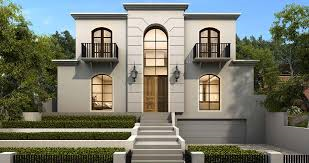 A stunning French provincial two storey home of 50 squares is being built in Henley Street, Balwyn for which the Finishing Touch are currently manufacturing parapets, arches and stringers in the factory, as well as quoinings to decorate columns. Close by in North Balwyn a high value home of two storeys and fifty squares is being constructed in the French Provincial style. 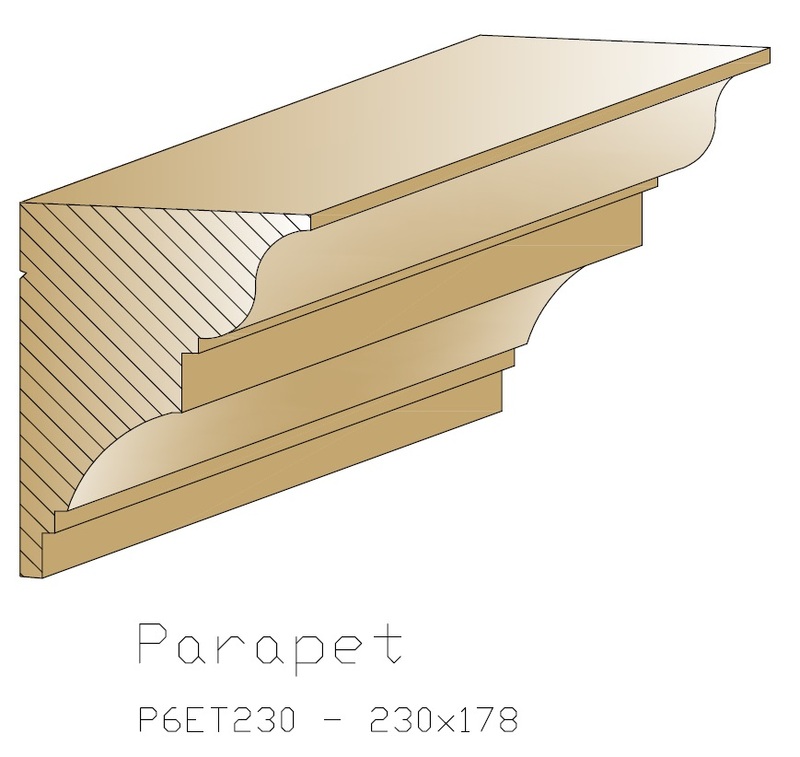 The Finishing Touch are manufacturing the house mouldings for parapets, quoinings, columns, stringers and window sills to help give the home a genuine French Provincial look. These mouldings will not crack, shrink, expand or bend and will last for many years still looking brand new. The architectural mouldings for both houses will be installed shortly, once manufacture is complete. In Rowell Avenue, Camberwell another beautiful French Provincial home of two storeys and fifty squares is being built. The Finishing Touch have been commissioned to provide exterior mouldings to complete and complement the French Provincial look with eave mouldings, parapet mouldings, stringer mouldings, window sill mouldings and window architraves. Do you want your house mouldings to come away from the walls within a year or two? Do you want the render and wall beneath exterior mouldings to look unsightly with drip marks? Do you want the paint to chip or flake off the moulding within a few short years? Our architectural mouldings are made of ‘H’ grade polystyrene, which is one or two grades stronger than ‘M’ grade or ‘S’ grade polystyrenes used by other manufacturers. Our architectural mouldings will adhere to your walls better, maintaining strength for a much longer period. Our architectural mouldings are pre-primed, ensuring the paint does not chip or flake off within a few years. This guarantees a durable, long lasting, high quality finish. 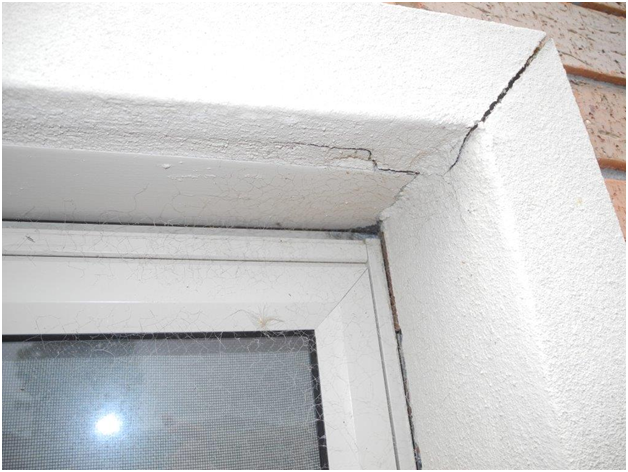 We use the Drip Lip system – this ensures the rain dripping from exterior mouldings do not drip down the wall, discolouring the render and wall beneath the mouldings. After six or twelve months any moulding will look good but Finishing Touch architectural mouldings will still look brand new for years to come. They will not be pulling away from the wall or showing wear with paint chipping or be discoloured by rain dripping, nor will the wall beneath them. Don’t risk a dissatisfied customer due to the quality of the moulds you have chosen for your build. The Finishing Touch architectural mouldings will produce an excellent, quality, durable finish that you can rely on to keep your customers happy and keep your business thriving. The Finishing Touch have been commissioned to replace old faulty exterior mouldings with new lightweight mouldings on a fifteen year old building in Elwood. Situated in Ormond Esplanade the building has a sandstone finish and faces Port Phillip Bay where it is subject to the weathering influences of sun, salt water, wind and rain. The replacement architectural mouldings of large parapets around the building the Finishing Touch will supply will have a smoother, sharper render style and finish, vastly improving the look of the building and giving the parapets a much longer life. Requests for quotes on properties in New Gisborne and Ascot Vale are now in the pipe line. The property in New Gisborne is for a forty square, two storey modern design building after the French Provincial style. The project would involve working directly with the Builders, supplying parapets, window sills, window architraves and arches. Once the quote is accepted, manufacturing will begin in one month and the house mouldings will be fitted within two months. The Ascot Vale property is in Ormond Road and is for a new, modern designed house being built in the French Provincial style. This project will use a large range of decorative architectural mouldings, including parapets, stringers, window architraves, window sills, keystones, pier caps and quoinings. Once the quote is accepted it is estimated it will take three months before the mouldings will be fitted. All architectural mouldings are taken to the site and installed by certified installers, which carries a 7 year warranty on all installation and fixing. The company’s proprietary render patch system is utilised, virtually eliminating any sign of joins.